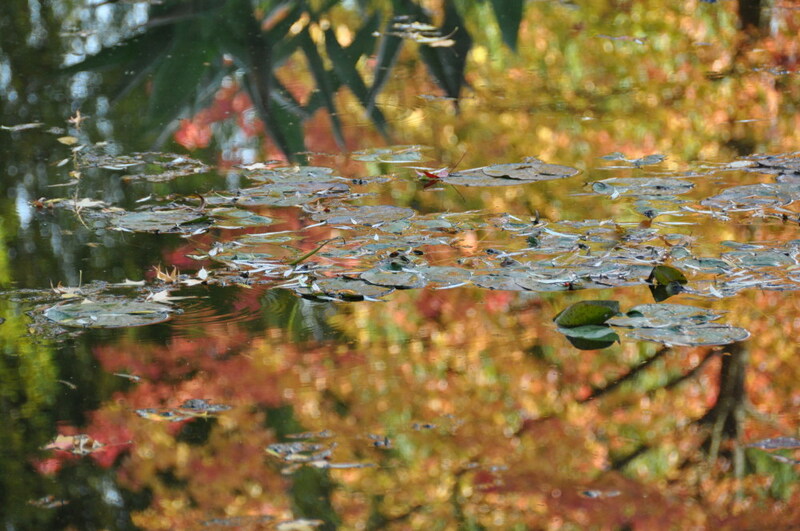 The beauty of late season at Giverny relies on the reflections on Monet’s pond. The surrounding trees turn red, orange, yellow and dip their image into the water. Their warm colors split in dots of changing shapes form a stunning contrast with the cold blue and perfectly defined leaves of the remaining water lilies. This picture was taken one month ago. Now the leaves have been blown away, and Fondation Claude Monet is closed until next 1st April.